Breguet - Breguet La Tradition White Gold, 37 mm case. 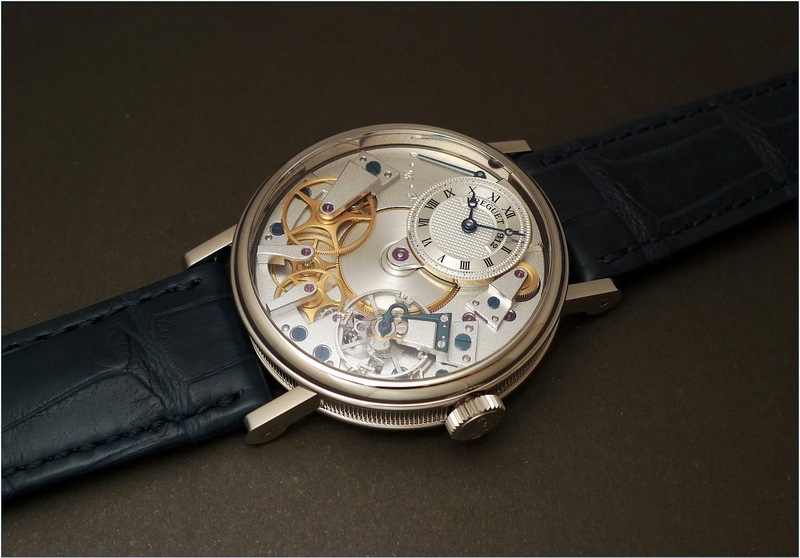 Breguet La Tradition White Gold, 37 mm case. My favorite La Tradition version. My favourite La Tradition too! Right size and manual movement! Only 37 mm, but perfect as it is. I prefer the automatic version with the retrograde seconds by a smidge. I like seeing the seconds tick back to zero in a split. There’s some charm to that for me. Both pieces absolutely wonderful, however. Best size and movement ! That being said, we could debate between the Yellow gold, the dark grey and this version.... Took me a long time to make up my mind. I think the WG configuration really nails what the Traditional is all about. Wear it in good health! What a beautiful photo. I have this one with the dark dial and white gold, rather than yellow gold, accents.